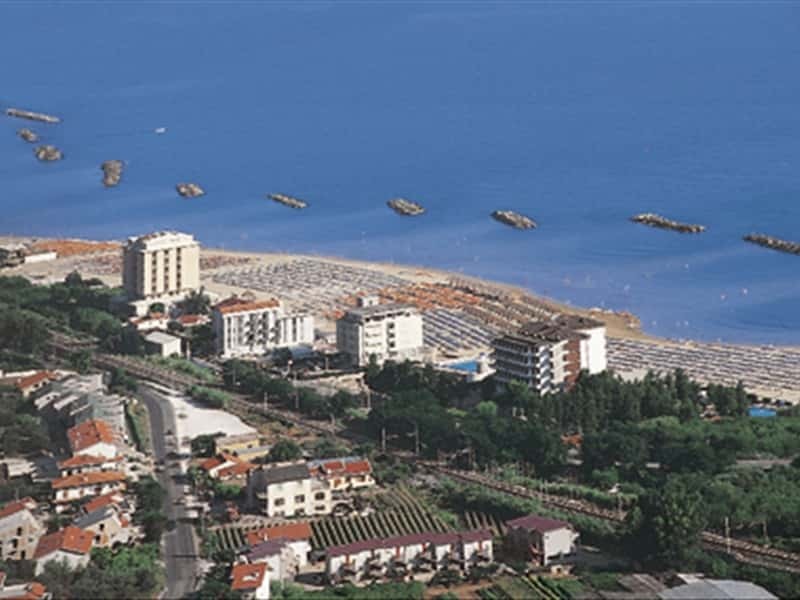 Town in the province of Chieti, situated on a high cliff overlooking the Adriatic, Ortona has always been a major port of Abruzzo. Inhabited by Fretani, it then became part of the domain of the Roman Empire, as evidenced by some findings brought to light (Roman paths and portions of fences of the urbs). After the fall of the Empire, it was conquered by the Byzantine, Franks and Normans, before being annexed by the Kingdom of Naples. In the XV century, because of rivalry between Alfonso of Aragon and the Republic of Venice, Ortona was invaded by the Venetians who destroyed the port, the warehouses and the arsenals, without, however, being able to enter into the city. In this period dates the construction of the Castello Aragonese. During the Second World War, it was heavily damaged by the bombing, so that Churchill named it the "Stalingrad of Italy". - the Cathedral of St. Tommaso, rebuilt after the devastating bombing of World War II, it contains the remains of the apostle, brought here in the XII century from the Island of Chios. The Cathedral Museum presents around 40 paintings dating from the XIV century onwards, coins, silverware, and various archaeological finds. - the Aragonese Castle, built in the XV century on a cliff overlooking the sea. Severely damaged by landslides and the bombing of World War II, it has only recently been restored. - Palazzo Farnese, built by Giacomo della Porta and houses the Municipal Gallery and the Municipal Library. - Palazzo De Sanctis, overlooking the square entitled to St. Thomas. This town web page has been visited 36,009 times.